Are you In A Hurry? Here's A Summary Of The Makita Air Compressor Review. This Makita air compressor is an ideal match for automobile workshops, construction related stuff and woodworking projects. It comes with an additional 90 PSI available when CFM is increased to the max level and a 2 strokes big bore cylinder which maximizes air pump output over minimum time duration. Model MAC5200 has 8 Inch thick pneumatic rubber tires and a foldable handle stand for portability and transportation. Makita is offering a full 1 year parts and repair warranty on each brand new purchase of this air compressor. Makita Mac5200 is not only a ‘Big Bore’ category air compressor, but has also been in the market since 2007. Obviously, over the course of a decade, this very same Makita air compressor model has gone through several revisions, but if there’s one thing that hasn’t changed a bit; it’s the unprecedented quality and long term air pump performance. As compared to its predecessors, and especially other high performance air compressors, the Makita Mac5200 model has got several tricks up its sleeve. For instance, the product boasts of a staggering 3 HP, a surplus 90 PSI at max CFM; this value is variable for different projects, and overall better build quality. How Good Is the Makita Mac5200 Air Compressor? Runs Every Air Tool in the Shack! Who Can/Should Use The Makita Mac5200 Air Compressor? 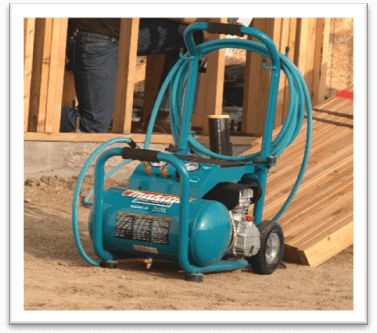 Conclusion – Should I buy the Makita Mac5200 Big Bore Air Compressor Or Not? Although the Makita Mac5200 AC is more of a poster child of high quality air compressors, it does have a few chinks in the armor. Despite of those setbacks, I like to think that this product is worth the price tag. Speaking of price, the ticket goes up north of $300, but that’s not a lot to ask for those who are looking to go beyond filling truck tires and kids jumping castles! Just to give you an idea – and this comes from an entirely personal experience, I’d like to state that I am a woodworker and semi-professional construction project manager. Often times during carpentry scale flooring and roofing, I rely on this Makita Mac5200 Big Bore air compressor to get the job done. It can handle 2 nailers simultaneously; granted that the air compressor is full and the compression level is kept to an optimal state, you will have no trouble using nail guns. Same goes for sealant. One more reason for preferring this Makita air compressor over others is because it is a non-gas operated model. Yes, it does require oil for pump operation, which is a down side for such products because an oil leak is not a very friendly addition to an air compressor’s reputation. However, Makita used some high quality pressure seals to make sure that there are no oil leaks while workers are busy using the compressor on any range of projects they want. The question is that whether you want to take it all to the next level, or not. 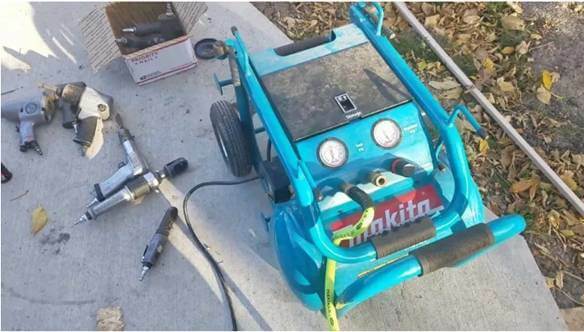 Some of the experts have customized the Makita Mac5200 air compressor model with homemade cylinders for extra horsepower. If you get it right, you can get away with a 33 Gallon cylinder, topped off with 6 HP instead of the default 3 HP at which the air compressor operates. 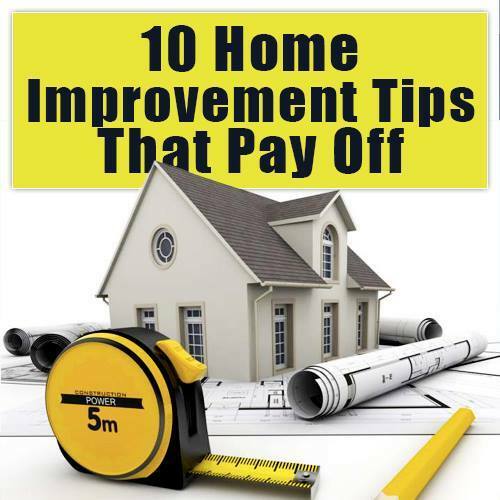 The only disadvantage of modifying an air compressor or any other power tool for that matter is that you’d be voiding the warranty by doing it. In case of any product malfunction issues, the company will not offer repairs or replacements. Given that Makita is offering a full one year parts and labor warranty, I think that you should only modify this Makita air compressor if you REALLY know what you are doing. The Makita Mac5200 Big Bore air compressor was first introduced in 2004. Can you believe that? It has been approx. 18 years and this air compressor is still selling, not only in the online web-stores, but also at local retailers. Over the last few years, Makita has reinforced the air compressor’s outer hull, improved the gauge accuracy and reaction and made necessary adjustments to the product as based on consumer reviews. As a result, despite of the old base model, the air compressor itself continues to serve the needs of woodworkers, construction crews and home based DIY enthusiasts who wish to practically apply their craftsmanship on something productive. Having said that, the air compressor’s weight is still an issue. It weighs around 100 Lbs., which was initially a big issue right after the product was released in 2004. However, the manufacturers added a foldable handle and wheels to the air compressor to help increase the portability factor. These wheels are high performance, tough and resilient. I have personally dragged the Makita air compressor upstairs, downstairs and over small potholes as part of a deliberate test to see how well it can withstand the environmental factors. Yes, it is true that due to its high scale specifications, the Makita Mac5200 air compressor can be used for all kinds of heavy-duty work. Obviously, you cannot use it for industrial scale applications, but if you are talking about professional contractor work within the confines of small-scale projects, this product is an ideal fit. For example, I have slid it around trailer trucks, used it in combination with Husky air compressors, and other products to get the labor moving across the project. There were times when I forgot to turn off this air compressor, and it eventually led to some hard lessons. If you find yourself waking up to a rude ear splitting noise, that is because you also forgot to turn off the Macc5200 air compressor. It lets out the excess amount of air, but it happens at the cost of high intensity pitch. Speaking of noise levels, this Makita Mac5200 is not the quietest air compressor to rely upon. The noise levels are high – and I am not talking about “bearable” noise over which you can have a friendly conversation with the co-worker, while the tank is filling up. I take it as a downside of having a high performance air compressor, but Makita should definitely look into adding a few noise suppressors. Fun Fact: You can reduce the noise by adding a few extra layers of foam noise dampeners under the stock dampeners. Also wedge a cardboard in there to make sure that everything sits in nice and sturdy. As far as build quality and the entire “Big Bore” theory is concerned, Makita used a wide bore cylinder piston pump instead of a standard version. This means that this air compressor fills up the entire 5.2 gallon capacity in approx. 2 minutes. The time could be less if you already have some air deposited inside the tank, but the 2 minutes duration is very impressive by my standards. Ideally, this Makita air compressor is not meant for campers, homeowners and casual users who normally use such products for filling up air in day-to-day objects. You could easily do that with a cheap air compressor running on 1 HP such as the Bostitch BTFP02012 or the Porter Cable C2002 . On the contrary, 3 HP begs to unleash professional performance on actual job-site projects where nailers, sealants, air brushes and such equipment is involved. The only gripe that I have with this portable air compressor is the short power cord. You can use an extension, but it looks sloppy. Makita should add a few extra feet of power cord on the release of the latest version of the Makita Mac5200 air compressor. Coming back to the application wise use, this air compression can simultaneously handle 2 roofing nailers, 2 finishing nailers and a bunch of other things if you have connected the hoses in the right places. Likewise, automobile repair shop owners can use these air compressors on impact wrenches, air ratchet wrenches, die grinders and high quality spray guns. The spray guns used on cars are a lot more complex and sophisticated as compared to the spray guns that are used at home. Therefore, you cannot use a low quality air compressor to paint a car. The results will not be visually pleasing. The “bore” is the diametric space between the air cylinder. If the bore is big, the amount of air that is pushed outside is greater. Hence the expression; “big bore” was used by the company in Makita Mac5200 air compressor title. Likewise, Makita used a 2 stroke mechanism to push the air out, which means that less number of strokes is required to pump the air. If there is a 1 stroke system, then it will take approx. 2000 strokes to empty the 5 gallon Makita Mac5200 compressor tank. The company used 2 strokes to reduce the piston movement and increase the air output at the cost of absolutely nothing. 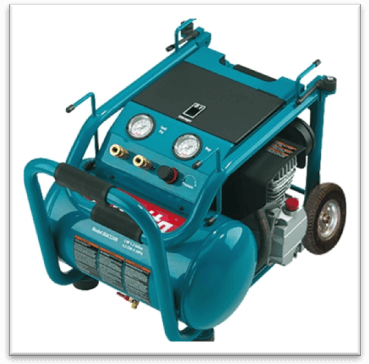 Makita Mac5200 air compressor uses copper alloy finned tubes to keep heat levels low. The 2 strokes big bore cylinder maximizes air pump output over minimum time duration. Additional 90 PSI available when CFM is increased to the max level. Ideal air compressor for automobile workshops, construction related stuff and woodworking projects. Uses 8 Inch thick pneumatic rubber tires and a foldable handle stand for portability and transportation. Makita is offering full 1 year parts and repair warranty on each brand new purchase of the model Mac5200 series. Extremely Noisy: 90 decibels is not bearable. A heavy weight air compressor as compared to other models in the market. The quality of wheels on the stand should be improved. Sometimes the bolts bend out of shape, hence rendering the stand useless. Requires maintenance over long term use. 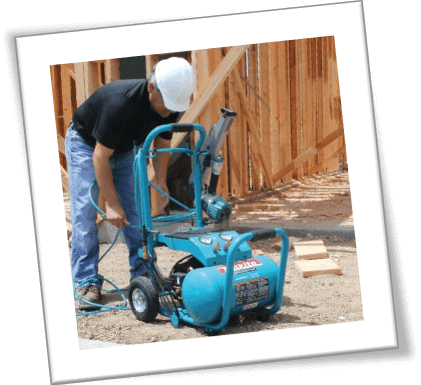 If you are looking to complete resource hungry construction, woodworking or automobile projects that require the use of air tools, Makita’s model Mac5200 air compressor will be a nice addition to your inventory. Of course, you need to wear earplugs and develop a tendency to ignore the bulky tank size to get past the first few months of rigorous use. The amount of resellers is generally high in the market because of the noise and weight issues, but that isn’t a problem for seasoned Makita air compressor enthusiasts. if still in doubt which air compressor to buy make sure to read our air compressor buying guide or compare the best air compressors in our best air compressor review.